Realtors agree the Greater Toronto Area’s 2017 real estate market can be summed up in one word: Volatility. The first few months of the year saw prices skyrocket, soaring more than 30 per cent higher than they were at the same time the previous year. Then, in April, the Ontario government introduced the Fair Housing Plan, a slate of measures to address affordability including a 15 per cent tax on foreign buyers in the GTA and surrounding area. Suddenly, the first quarter’s record sales turned into a drastic drop. A long-predicted housing crash never came, however, with price growth slowing but not reversing in the second half of the year. Some buyers who bought at the peak of the market ended up in trouble when the frenzy ground to a halt, but Childs said she welcomed the province’s measures. In 2017 overall, the average property price in the GTA increased by 12.7 per cent — hardly a U.S.-style housing meltdown. That meltdown could still be around the corner, but Childs thinks it’s unlikely. 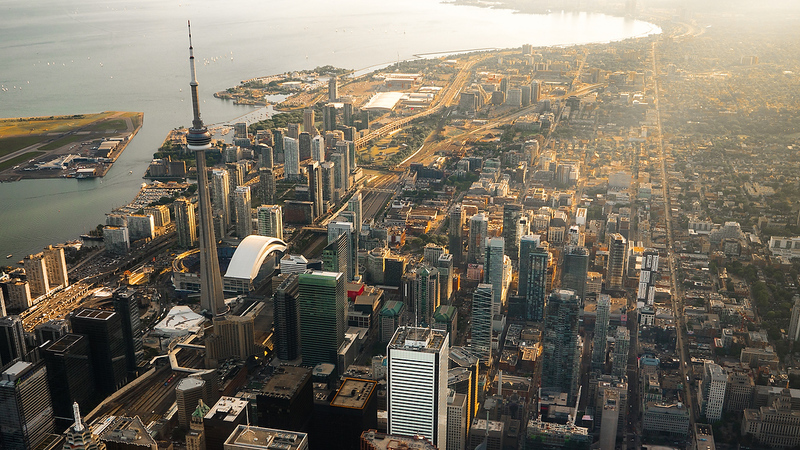 We ranked the best neighbourhoods in three GTA regions — core, inner suburbs and outer. The core is the city’s urban centre, with accessible transit and easy access to amenities. The inner suburbs are for people who don’t mind trading a longer commute for better parking and a bigger lot size. And the outer region is for buyers who either don’t need to commute downtown at all, or are willing to log some serious travel time in exchange for affordable prices and wide open spaces. Check out the map below to see how the regions break down.